Jewelry, and Photographic Sculpture photo-eye Gallery is proud to work with Kubly for the first time in LIGHT + METAL and have ten of her refined and innovative designs currently on view in the exhibition. 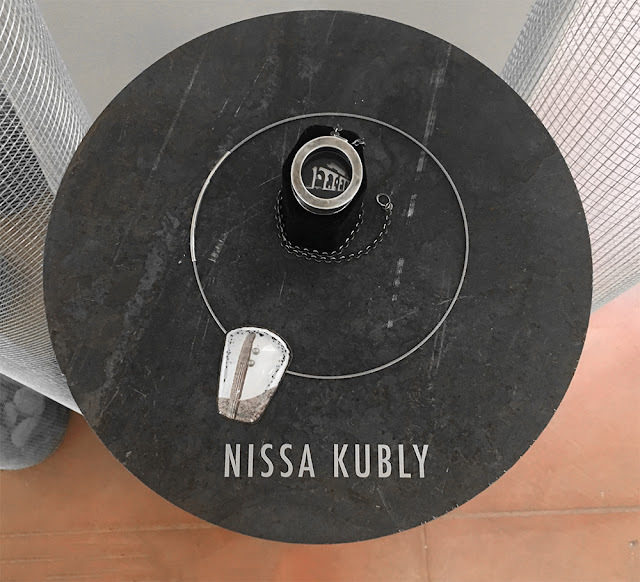 Skilled in metalworking, artist Nissa Kubly crafts an array of unique objects including photographic sculpture, enamel image-based jewelry, and delightful wearable pinhole cameras. With an interest in optics and image creation, Kubly's practice deftly combines form with function to build three-dimensional functioning artworks that take photography off the wall and place it in the hands of the collector. photo-eye Gallery is proud to work with Kubly for the first time in LIGHT + METAL and have ten of her refined and innovative designs currently on view in the exhibition. We spoke recently with Kubly, and the artist shared a little about her background and how her obsession creating unique physical artworks began. Nissa Kubly's work can be viewed in the gallery as a part of LIGHT + METAL though this Saturday, September 22nd, 2018.
photo-eye: What inspired you to create the pieces included in LIGHT + METAL? Nissa Kubly: These pieces in the gallery show started as work in graduate school when the history of photography professor assigned us a challenge to make our own camera and test it to see if it worked. I was in the fine art department studying metals and didn't quite understand the camera obscura so I decided to try it out, making a small scale camera in copper and brass. I cut a little piece of photo paper, inserted it into the camera and lined it up to take an image of a bike on campus, quickly went into the darkroom to develop and was amazed when it actually worked! I loved that I could create a very basic machine and get a result that would be permanent. A lesson in form follows function! pe: What type of work did you make prior to the work you are making today, and if the work was different, what inspired the change? 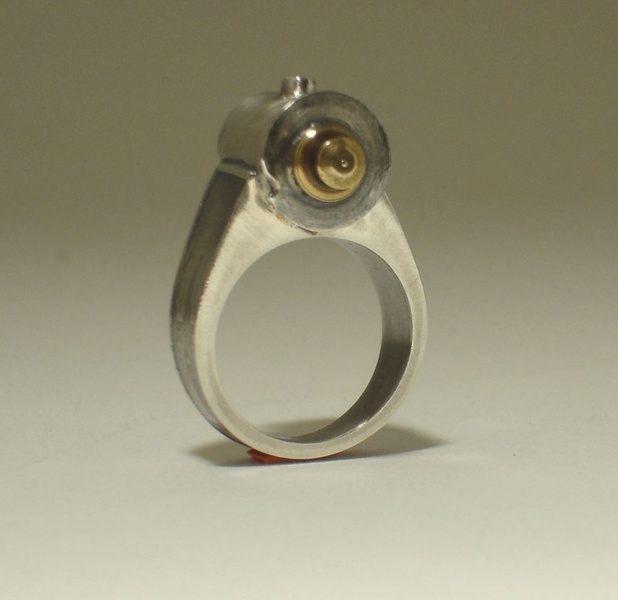 NK: I loved my beginning/undergraduate work in formal metalsmithing at the University of Wisconsin-Madison. Here we were making hollowware, functional tableware like chalices, hand raised bowls, serving utensils and custom rings in sterling silver, pewter and copper. I guess I've always liked functional work that is beautiful as an object and well constructed. pe: Can you tell us about creating one of the works included in LIGHT + METAL? NK: The wearable cameras started in graduate school also, when I made a belt buckle camera. It was a small rectangular brass box I could load with film and take images (incognito) of party-goers! So, I wanted to continue this idea and next, I made a Pinhole camera bracelet in sterling silver, which I loved, but it sold to a collector. (Now in the Racine Art Museum collection). I liked the idea of functional, spy-like objects that could be worn and it was important the pieces be one of a kind. So I continued with the fabrication of the pinhole rings; they are hollow constructed from silver sheet, formed and soldered. Some patterning comes from etched designs on the sides. I added brass details which are turned on my mini-lathe in the studio and soldered onto the piece. I enjoy the process so much—designing, creating and experimenting. The constructed camera gives me all these opportunities. Nissa Kubly received her B.S. in Fine Art from the University of Wisconsin-Madison. She continued her studies at the University of Wisconsin in Art Education, where she was awarded a teaching degree. Ms. Kubly later earned a Masters of Fine Art in Metals from Arizona State University, Tempe. 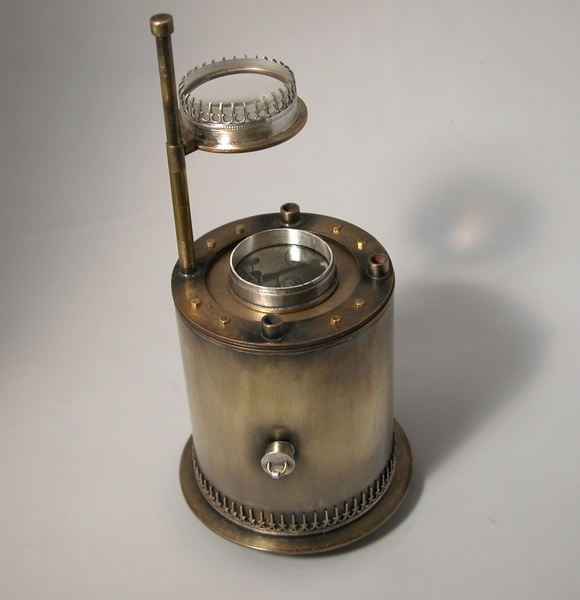 Her thesis, "Macchine di Luce," was an exploration of the optics of the pinhole camera in functional metal fabrication. 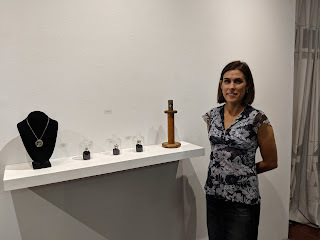 Kubly was awarded a residency at Anderson Ranch Art Center, Aspen, CO to work in sculpture and photography studios, constructing cameras and experimenting in film. She has been awarded grants from the Phoenix Art Museum and 3M Corporation, and her work has been included in publications such as Design & Architecture and public and private collections around the world. 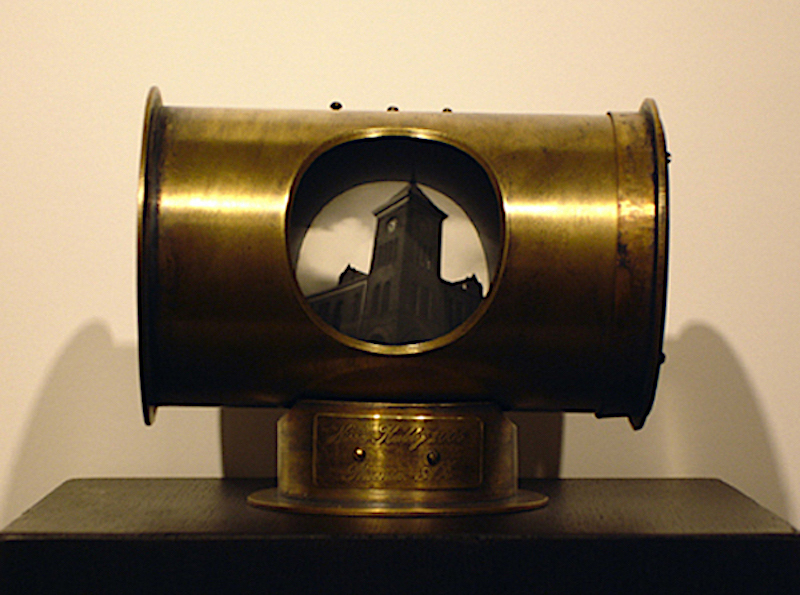 In 2014, Ms. Kubly was included in the largest pinhole collection in the world with numerous cameras and images added to the New Mexico History Museum's permanent collection in Santa Fe. The summer of 2017 took Ms. Kubly on a residency with Biomimicry at the Tempe Center for the Arts, where she researched butterfly optics and vision, consulting with Dr. Ron Rutowski, a professor in life sciences at ASU. through Saturday, September 22nd, 2018.